I am still a bit jet lagged and have a bit of a headache. 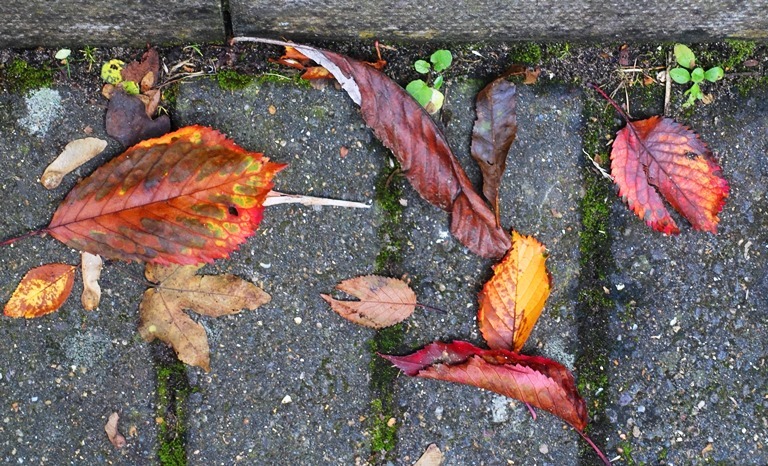 Therefore, I will just share a few pictures of Fallen Leaves here in Cambridge. 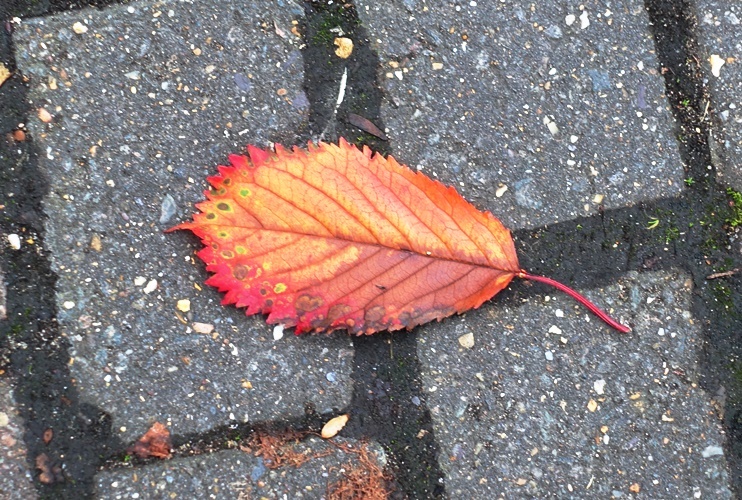 I always like to see fallen leaves on the ground, especially if they are colorful. This is always a great sign of fall. 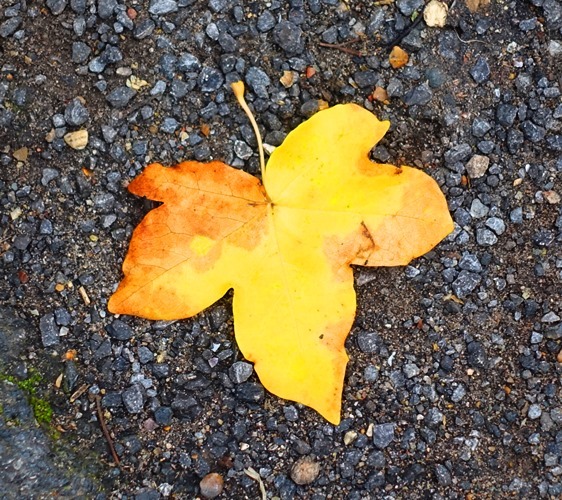 Here is a nice yellow leaf that I saw on the path back to the hotel. This red and orange leaf was in the parking lot at the office. 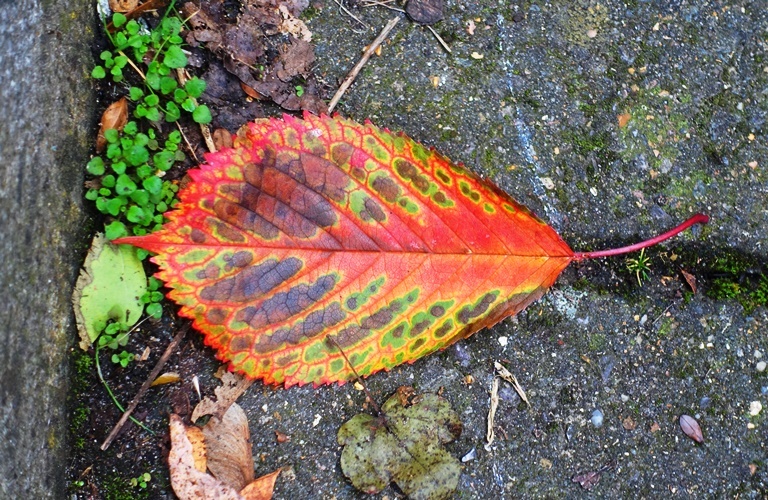 This is the same type of leaf, but it even more colorful. One of the things that I really like is the variability in the leaves from a tree. Color differences can be really cool, just like the weather. This entry was posted in Nature, Seasons, Travel and tagged autumn, Cambridge UK, Colorful Leaves, Fall, jet lag, leaf, leaves, red leaves. Bookmark the permalink.